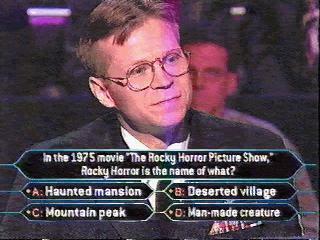 Which one of these did not appear in the movie "The Rocky Horror Picture Show"? the question was in this 1975 movie tim curry encourged you to do the time warp again. 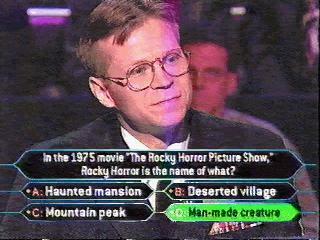 Host: What british actor played dr. frank -n- furter in 1975's the rocky horror picture show?